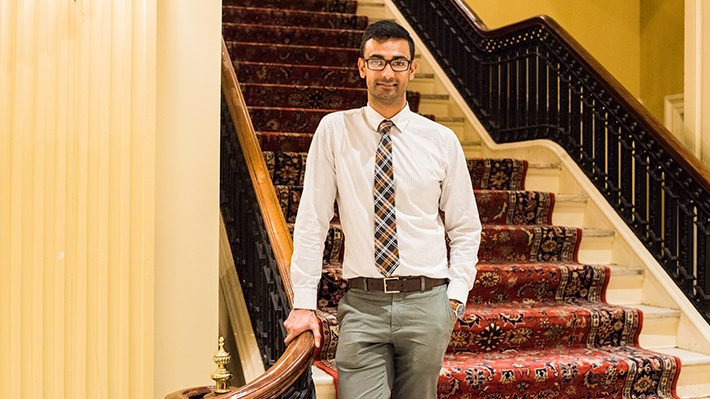 When Arjun Arora found himself in the position of choosing from multiple job offers after graduation, he credited the experiences and connections he gained during his time in the MS in Business Analytics program at Drexel. After graduation, Arora joined a market research firm named MSI International. At the company, he worked as a research coordinator and focused on data processing, where he learned programming skills on the job. “I started helping out other teams – project managers. I’m always curious to learn what other departments are doing and how I can help out. I think helping out is enabling my growth,” says Arora. His obvious passion and dedication lead him to be promoted to a project manager position within the first six months on the job. But despite his rapid career growth, Arora knew he wanted to learn more in the field and be able to bring more to the companies that he worked with. After working with MSI for a year, Arora started looking for graduate programs in business analytics field and found Drexel had the perfect balance for him. “Drexel was one of the few schools that was aligned with the business skills plus the analytical skills,” says Arora. Outside of the competitions and projects, Arora knew he wanted an extensive amount of internship experience for opportunities to apply what he learned. When Arora returned for his last term, he took two courses while working with CompassRed in data science and analytics. “That’s when I recognized, I really enjoy this and I really like to do this. I saw where my career was headed,” says Arora. Arora says that the skills he learned from Drexel helped him in his work in the professional world. “What really stands out is having the ability to understand which machine learning model and which analytics solution can be applied to a particular business case,” he says. Arora recently accepted a position in San Mateo, Calif. as a data scientist at Opentext.